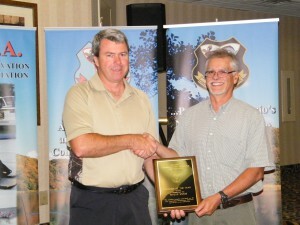 London – The Ontario Conservation Officers Association (OCOA) is pleased to announce that Steve Emms has been selected as the 2014 Conservation Officer of the Year. Steve currently works as a Provincial Training Specialist out of Thunder Bay, Ontario. 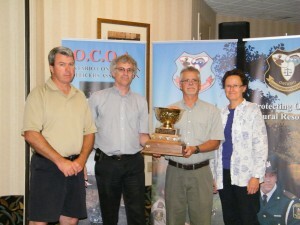 Steve was presented with the award at the OCOA annual general meeting on Friday August 8th. 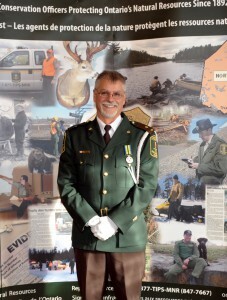 “Steve has been a Conservation Officer for 29 years and has had many great accomplishments. Steve is the first Provincial Training Specialist to receive this prestigious award.” said OCOA President Joe McCambridge. Founding member of the Ministry of Natural Resources Provincial Training Unit in 1997. Helped bring innovative new training techniques and tools to the field that has improved training. Active within the Ontario Conservation Officer Association and is currently the Northwest Regional Representative. 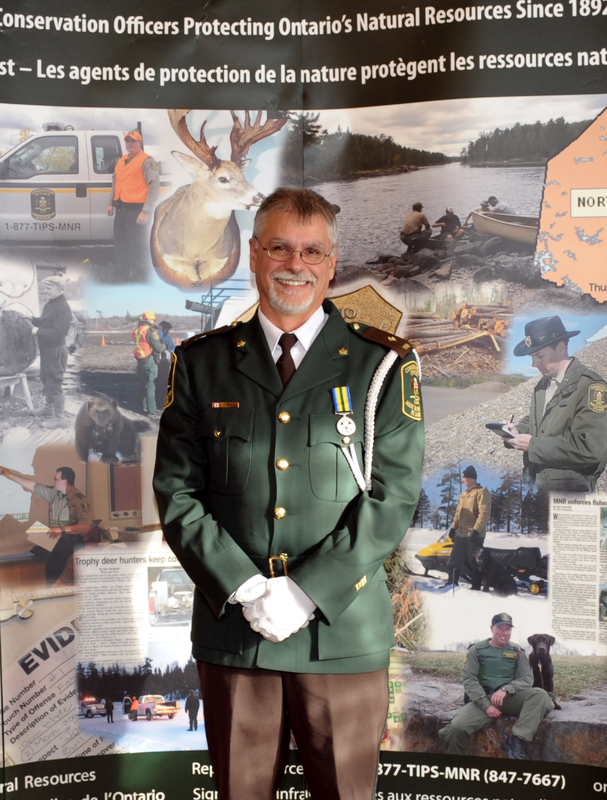 Steve was also presented with the Ministry of Natural Resources and Forestry (MNRF) Officer of the Year award by Lois Deacon, Director MNRF Enforcement Branch and Assistant Deputy Minister, Provincial Services Division Al Tithecott. Lois Deacon said, “Steve has a great ability to relate to officers and they in turn relate to him”. In addition, Steve also received the Shikar-Safari Club International Wildlife Officer of the Year Award and the Midwest Association of Fish and Wildlife Agencies (part of the International Association of Fish and Wildlife Agencies) Officer of the Year Award.